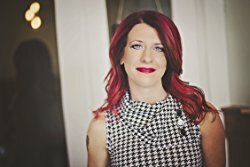 How has your travel experience helped with your writing? 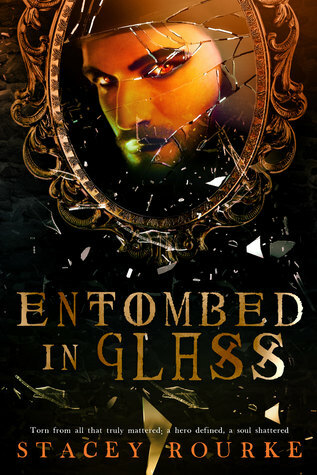 When I was first writing Entombed in Glass, I was finding myself somewhat blocked for imagery on my version of the Enchanted Forest. I didn’t want it to be a cookie-cutter replica of how it has been described in countless books dating back to the original tales. Then, my family took our first ever trip to Hawaii. Hiking through the lush forests there, I found my inspiration. Trunks of towering trees braided together in intricate patterns. Huge leaves provided shaded canopies from the hot midday sun. Everywhere you looked the scenery was more beautiful than the last. As soon as I got home, I had to rewrite all of my enchanted forest scenes in this new image. It had finally come alive for me in a new way I couldn’t have come up with without being immersed in it. This wasn’t the first time that I found inspiration in travel. Once looking out the window of a plane, I saw a sea of white fluffy clouds stretching as far as the eye could see in soft, subtle waves. It was so beautiful that if became the cloud garden in my Gryphon Series when the characters visit the Spirit Plane. Seeing new glimpses of nature is always very inspiring for me, because there is a beauty found there that can often trump anything we could imagine. For example, I can write about being on the beach, but when I go there and actually feel the sand squishing between my toes I get a more real feel for it. I taste the salt water on my lips, and feel the tightness of it drying on my skin, and I can use them elements to add more realism to my scenes. As if all of this wasn’t enough, when I travel I find moments where I escape the “business” of books. It stops being about launch dates, and deadlines. Or, sales rankings and blurb writing. I have often found that when I turn my brain off and just enjoy being outdoors or in a new place, it gets my creativity flowing in new ways. Inevitably I end up coming home with new story ideas, or a fun plot twist I hadn’t had before. And, heaven forbid, I don’t find inspiration, I at least am refreshed and renewed and that’s a win all its own!